As part of our rebranding, we at Travel Superior decided to publish a community app for the public to use. This app is free for users, and has many features that connect consumers and visitors to businesses in our community. This app allows users to stay connected to where to eat, sleep, shop and play! The app connects users to our events calendar, our ‘hot deals’ and our business directory. Connect today and download our Community App “Travel Superior” today! If you are using an i0S device, you'll find our free Community App called "Travel Superior" to download on "The App Store". 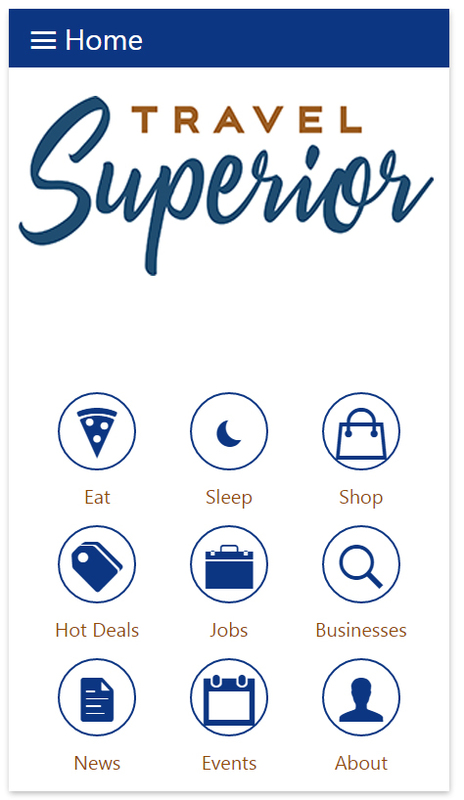 If you are using an android device, you'll find our free Community App called "Travel Superior" to download on "Google Play".